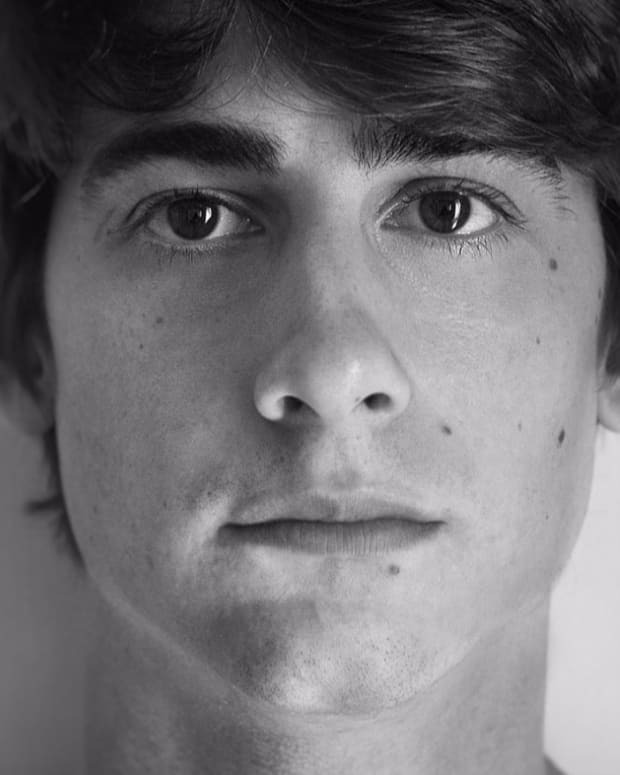 Davis talks his love for Native Instrument Maschine, Chicago and more. 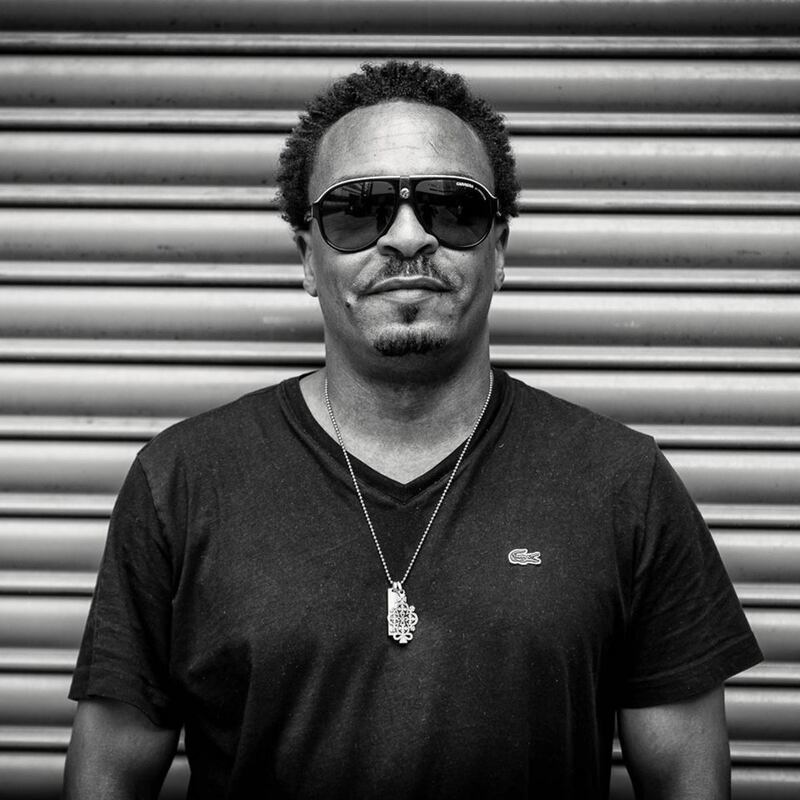 Born in California and growing up in the South Side of Chicago, Illinois, Roy Davis Jr made his introduction to house music through the likes of Lil&apos; Louis, DJ Pierre, Farley Keith & Marshall Jefferson. 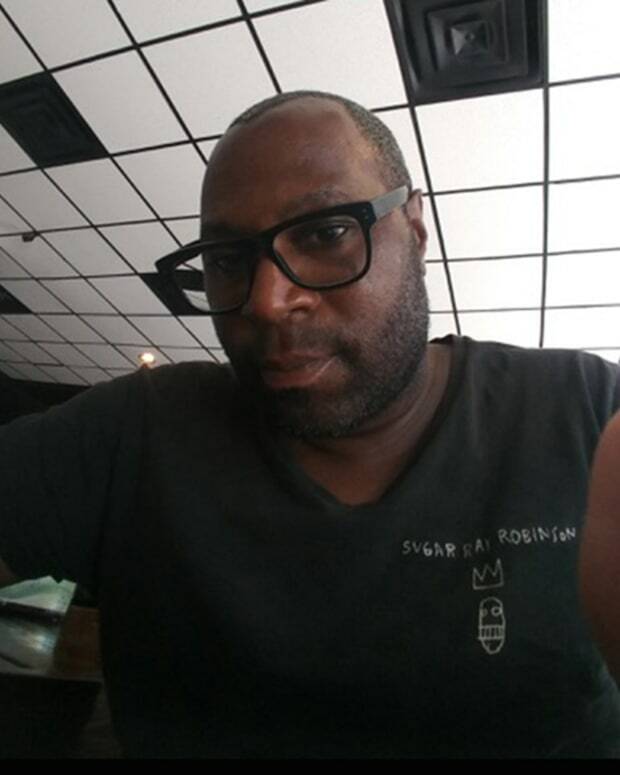 Since starting his own production company Phuture in the 1980s, Davis further worked as an A&R scout for record label Strictly Rhythm in NYC and founded his own record label Undaground Therapy Music in Chicago. 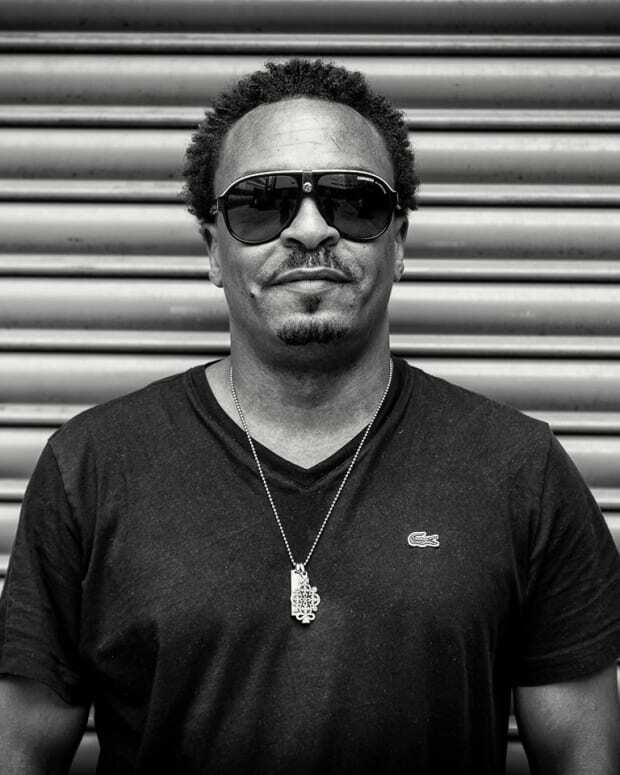 An internationally acclaimed DJ and producer, Davis can be seen on traveling the globe every weekend offering his eclectic yet seductive, pulsing house music to modern ravers and dancing addicts. We asked 13 questions to the Chicago house king about his life as a DJ and nomadic artist between traveling, playing, and producing, and found out who inspired him, and which tools he used to serve his creative instincts when making or playing music. Feel free to play one his last set at Boiler Room London while reading the interview below. What is your main inspiration today? Djing every weekend in different countries keeps me inspired. Because one tune that may work on the floor in France may not work in Italy, so it pushes me to create different music. Also I get inspired by younger Djs who know their music and have a vast amount of knowledge of where certain styles of music come from. Then we swap on classic record knowledge and it inspires me to share more of my music knowledge. Just being the local kid in Chicago Heights playing every event I could play for attention. Then Chicago Bad Boys gave me my first big show and after that the rest was history. What did you learn from Chicago Bad boys? Being in the Bad Boys was a learning experience how to be more organized as a unit and how to be a leader and team player, to give up whatever we needed from each other to get whatever job was had to be done. We did it for each other. Has this time influenced your penchant for house music? Of course it did just being around Armando Gallop, Terry Hunter also Steve Poindexter it was a great time for growing up in the Chi. What was your first experience with DJ equipment? My first experience with DJ equipment was different. I didn’t know any other local Djs as a kid when I first got my tables. I lived in a town called Chicago Heights, a small city on the south side of Chicago. The only thing at the time that I had were hot mix 5 on the radio and beat street videos of dis scratching, so my skills came from turntablism first then as I learned to be a well rounded DJ that could play everywhere you must learn how to blend, I sucked first. But the more you practice of course you become better. What are the lessons you learned from turntablism? Commitment. If you wanted to be able to do or have those skills you had to practice or you would never get those doubles and quarter scratches down or mastering the flow. You had to be committed. Are there any records that have marked this time that you can share? IRT Watch The Closing Doors, Herbie Hancock’s Rockit, also Kraftwerks Numbers 12” to name a few. Outside music, what drives you everyday to get outta that bed? Life itself. I’m from Chicago where most black men I grew up with didn’t make it to see 33 years of age and my kids whether they know it or not, they drive me to get up every morning, I love my kids. My hustle and grind is for them. I want to show them anything you want to achieve in life you can, but you have to work for it. If you had to choose some DJ equipment to take to a desert island, what it will be? It would be a Pioneer DJ set up. But if it was my choice to bring any gear on the island it would be my Native Instrument Machine. I would make beats everyday! Why would you choose Native Instrument Maschine? Well, I personally love the sounds you can create and manipulate it also gives you that hands on rhythm & swing that most producers are looking for today. What does it bring to you that no other tool can bring? Stability, it doesn’t freeze up or lock up or loose it’s working ability in its LCD like a lot of other drum gear, it’s built sturdy for touring or just banging around in the studio. 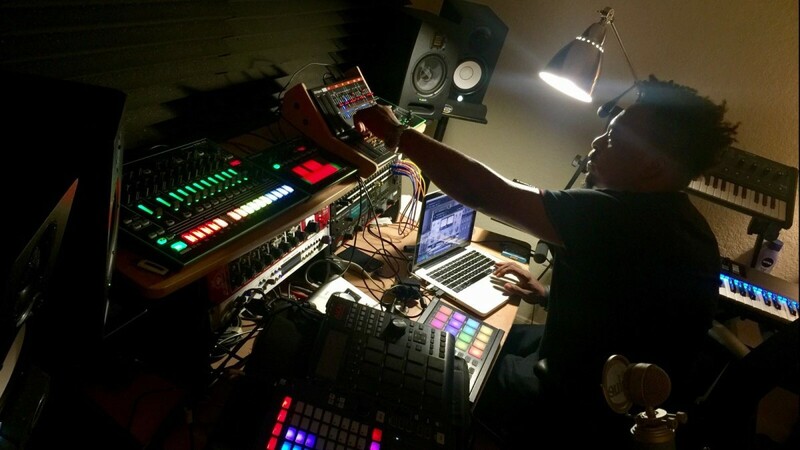 Courtesy of Roy Davis Jr.
You mentioned a Pioneer DJ set up; what’s special about those and why those? Because if I was in a desert the last thing I would want to carry in the hot sun is wax. I did that my entire career almost still have crazy back spasms from it today. At least with the last Pioneer DJ set ups I can use USB keys with millions of songs on my stick and I can never get bored mixing in the sun. Don’t get me wrong I love my wax, but the sun would warp my classics all up. 2. Being able to create a track or song one hour before my show & playing it for the first time and watch people go nuts! 3. Ancient Chinese Secret you have to come to one of my shows to find out! What software do you use to create music? I’m one of those guys who can use any DAW to create with from Reason, Logic or Ableton it’s however I feel or want to vibe that day. Look out for the new compilation from Chicago’s 312 House Society. It features the likes of Wes Green, Joel Culpepper, Terrance McDonald. Brian Harden, Ellery Cowles, and myself this summer on Creative Ltd. Out of Chicago. Also check out my new release on “Undaground Therapy Musik” by Al Zanders. Also look out for my remix of Ples Jones with Super Vocalist Kaye Fox song titled Magic on Exceptional Music.